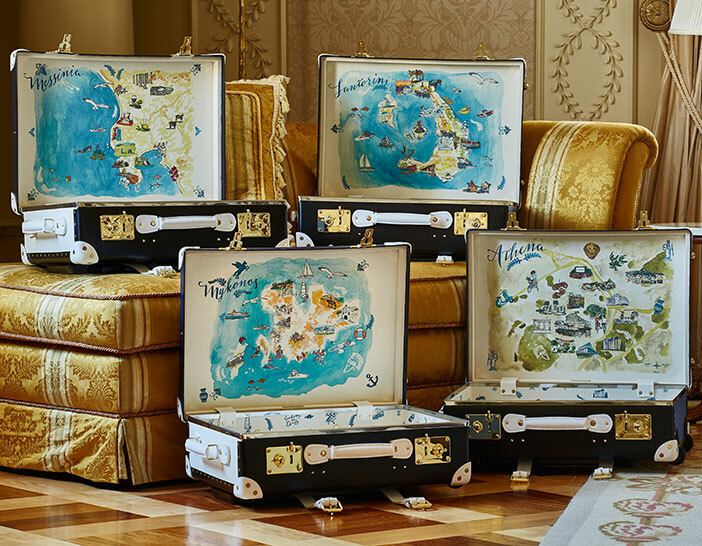 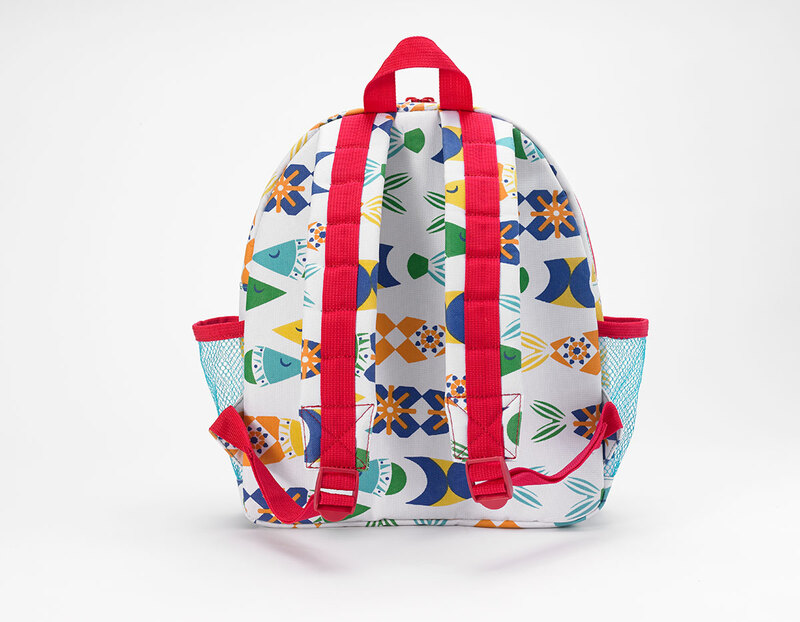 To celebrate her next Global Explorer collaboration, Margherita Maccapani Missoni has designed a new limited-edition childrens backpack exclusively for The Luxury Collection. 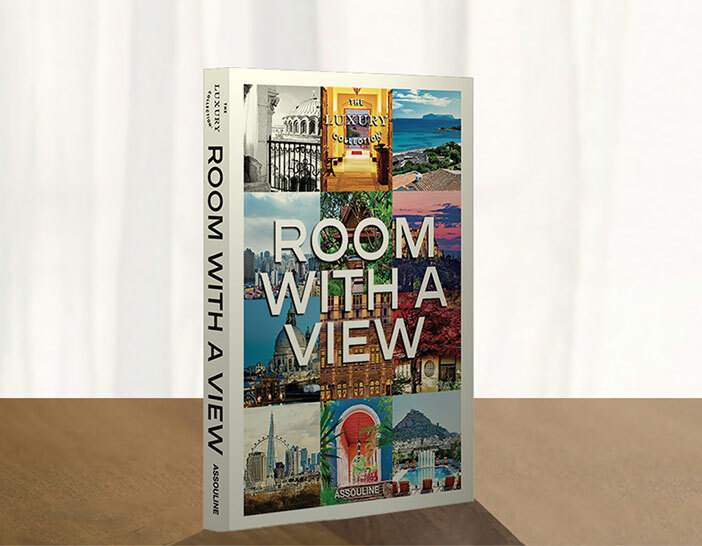 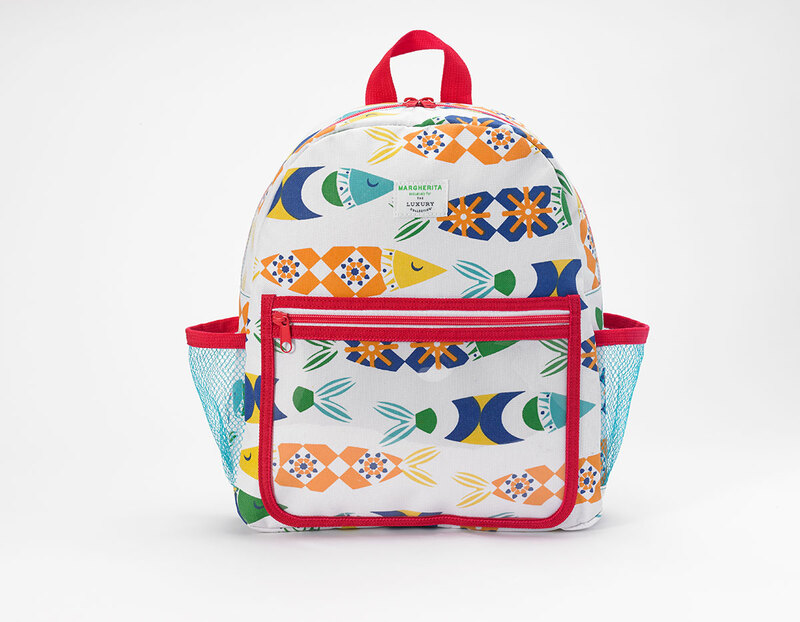 Inspired by her memorable family vacation to Portugal’s scenic Pine Cliffs Hotel, a Luxury Collection Resort, Algarve with her husband and two young sons, the exclusive backpack brings the ocean to life with inspiration from Portuguese hand-painted tiles called azulejos. The backpack features lively and colorful prints of swimming fish in bright primary colors. Designed with family travel in mind, the backpack is made from a lightweight, easy-to-clean polyester material. 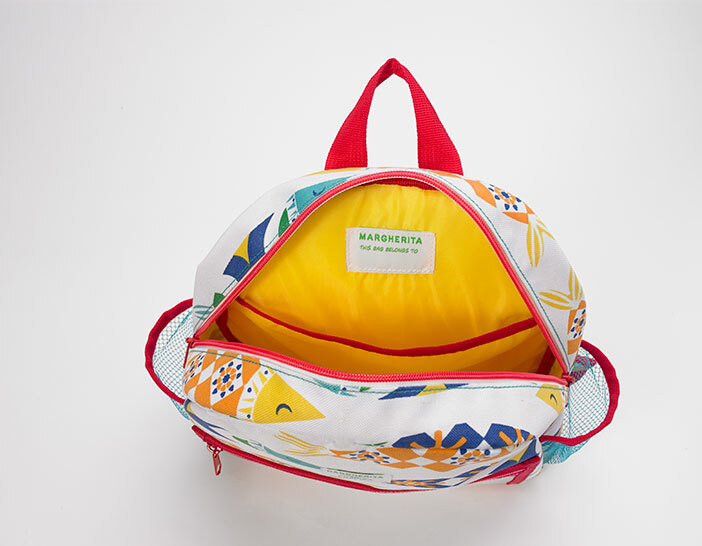 It includes a front zip pocket for easy access to toys and snacks, with additional side pouches for soft drinks.